What are the most common kinds of injuries in dog attacks? Dog attacks can cause a wide range of injuries, and result in hundreds of thousands of emergency room visits every year. Due to the potential for serious infections or complications that occur as a result of the attack, injuries from dog bite incidents should always be taken very seriously, even if they seem minor at first. According to a recent report from the Centers for Disease Control and Prevention (CDC), an estimated 368,245 people were treated in U.S. hospital emergency rooms for dog attack injuries in 2001, the majority of whom were children between the ages 5 and 9 years old. Leg, hand, and arm injuries. Many people react to a dog attack by putting their hands out in front of them to protect their faces. Unfortunately, an aggressive dog may latch on to these limbs with a powerful jaw, breaking the skin and tearing through muscle tissue. In some cases, a dog’s bite may be powerful enough to break through the bone. Disfigurement. Many victims are left with scars after a dog bite incident. If a dog pulls at an arm or leg for long enough, the skin may tear, requiring surgical intervention to repair the wound. These surgeries almost always result in scars, and can be devastating if they occur on a child’s face. A childhood encounter with a dangerous dog could result in disfigurement that lasts for the rest of a person’s life. Emotional injuries. A dog attack is a stressful incident. A victim will experience a great deal of fear and pain, both during the attack and throughout the recovery. 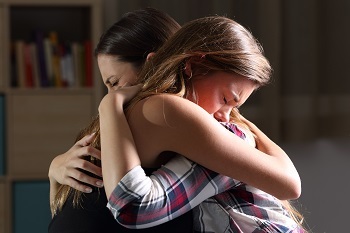 There may be long-lasting emotional or psychological trauma, such as a fear of dogs, fear of going outside, or even post-traumatic stress disorder (PTSD) for victims who cannot cope with the emotional pain of the incident. If a victim has suffered scarring, he is more likely to suffer psychological effects, as he must look at a physical reminder of the pain every day. Children may need counseling to understand the anger or fear that they feel, while adults may need many years of therapy or medication to cope with the trauma. Infections. Dogs attack with their teeth and nails, both of which are potential breeding grounds for bacteria. Injuries involving lacerations and puncture wounds from a bite can cause dangerous infections, especially if the dog may have had rabies. Death. 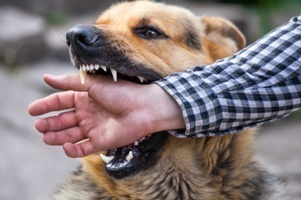 In some cases, a dog attack or bite can be fatal to a victim. A bite on the neck can cause bleeding and trauma from shaking or tossing, resulting in death for young children or elderly victims. Victims often rely on their own medical insurance to pay for the costs of treatment after a dog attack. This may be sufficient to cover minor injuries, but the costs of medication, surgery, and physical therapy can quickly add up. If the victim suffered a prolonged attack or was particularly traumatized by the incident, therapy may be added to the costs of care, bringing the total to tens of thousands of dollars. If a dog owner did not take proper precautions to protect innocent people from harm, the owner can be held liable for any injuries the dog causes. 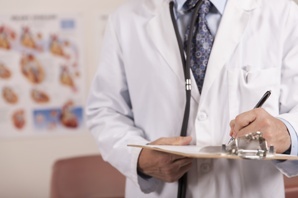 The injury attorneys at GriffithLaw can help you get the compensation you deserve for medical bills and lost income. Contact our skilled legal team today to begin your free case evaluation, or read through our book, The 10 Worst Mistakes You Can Make With Your Tennessee Injury Case. How Long Will My Dog Bite Claim Last? Before I buy a motorcycle, what should I know about the risks and potential injuries an accident may cause? Motorcycles can be an exhilarating way to travel, but they also offer far fewer protections than other types of vehicles. However, the more prepared for an accident a motorcycle rider is, the less likely he is to actually experience one, so learning about the biggest perils facing motorcyclists could literally save a life. Which Injuries Are the Biggest Threat to Motorcycle Riders? Head injuries. Riding without a helmet is the most common factor in fatal motorcycle accidents. One National Highway Traffic Safety Administration (NHTSA) crash report found that riders who sustained only head trauma were more likely to be killed than those who suffered an injury to other parts of the body. Under state law, all motorcycle riders and their passengers are required to wear helmets while biking in Tennessee. Neck injuries. A strike to the back wheel of a motorcycle is just as likely to cause whiplash as a “rear-end” accident in a car. In addition, bikers who are thrown backward in a crash can strike the back of their skulls, sustaining neck trauma even if they are wearing a regulation helmet. Even if the head is unaffected, a neck injury can cause damage to the spinal cord and result in total or partial paralysis. Road rash. When a biker has to swerve to avoid a crash or “lay down” the bike, he or she may suffer “road rash”—scraping one or more parts of the body along the pavement. Even at low speeds, road rash can cause severe abrasions that require skin grafting to prevent infections and nerve damage. Foot and leg fractures. The most common non-fatal motorcycle accident injuries involve trauma to the feet or legs of riders. Lower-extremity injuries are more common in motorcycle crashes due to the rider’s exposed legs and the tendency for the bike to fall on top of the biker. Typical injuries include broken leg and foot bones, twisted ankles, and torn knee ligaments. In severe cases, riders may suffer a laceration to the leg that requires amputation to stop the bleeding. Arm injuries. Motorcyclists are likely to be launched into the air in a crash, and bikers commonly put their arms in front of them to brace for a fall. The hard landing often causes broken arms, torn rotator cuffs, broken elbows, fractured fingers, and nerve damage along the upper extremities. Permanent nerve damage may occur in the arm as well as the upper body. Torso and pelvis trauma. Bikers who roll after striking the road can suffer dislocated hip joints and pelvic fractures, forcing them to undergo long recoveries where they must stay immobile. Fractured ribs can also be painful, and have the added risk of causing organ perforation or internal bleeding. Is There a Way I Can Prevent These Injuries? 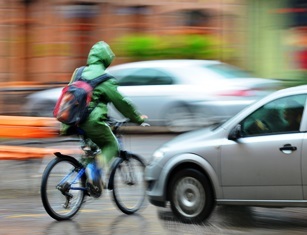 If you are planning to get your first bike, it is vital that you know exactly how to handle the brakes and steering in all kinds of weather—and that you have plenty of “hands-on” experience before you take to the streets. In addition to taking a road skills test for your licensing, it is a good idea to take a riding safety course every few years to brush up on your skills. As well as a helmet, you should wear a strong leather or canvas jacket with elbow padding, eye protection, and long pants. Perhaps the most important thing is to practice safe riding: no drinking, no risky maneuvers, and limited riding after dark. At the end of the day, you can’t control others’ actions. If you were riding as safely as possible and you were still struck by a driver, our Tennessee injury attorneys can help you get the compensation you deserve. Fill out our online contact form today to schedule a free, no-obligation consultation with our legal team. 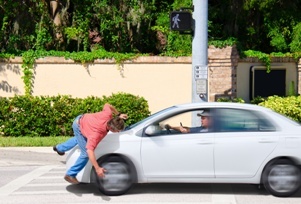 When a driver becomes too distracted to pay attention to the potential traffic risks around him, he greatly increases his odds of causing an accident. Cell phones are rapidly becoming the number one distraction for drivers. Unfortunately, the popularity of cell phone use isn’t restricted to sedan and mid-size car drivers. The most worrisome trend is that commercial truck drivers have begun to pick up their phones as well—making them more dangerous on the road—despite federal regulations prohibiting distracting behavior. Texting. The DOT recognizes texting as not only the manual entering of alphanumeric information into an electronic device, but also the reading of information off of a device. Under this definition, the FMCSA regulations prohibit truck drivers from performing actions such as short message service, e-mailing, instant messaging, accessing Web pages, or using multi-button communication. In short, if the driver pushes more than a single button on his device to perform any action, he’s guilty of violating the texting regulation. Cell phone use. Under the DOT definition, holding or even reaching for a mobile phone with the intent of conducting voice or multi-button communication is considered cell phone use, and is prohibited. The FMCSA regulations allow truckers to use hands-free communication devices, as long as they are located within easy reach of the driver. In other words, truckers can only use mobile devices if the device is within close proximity, requires a single button push to activate communications, or is totally hands-free. Civil penalties. Violators can be stuck with fines and penalties up to $2,750 for violation of safety regulations. Employer civil penalties. If determined that the driver’s employer willfully allowed him to use a cell phone while driving, the employer can be liable for damages. Increased risk of damaging safety record. 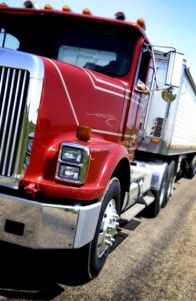 Violators can be awarded the minimum safety measurement rating for a commercial driver, which could lead to the loss of his commercial license. Increased risk of causing an accident. Commercial truck drivers who text while driving are 23.2 times more likely to cause an accident than those who do not. Drivers who dial mobile phones while driving have a 20 percent greater chance of causing an accident than those who follow the rules. Increased insurance premiums. Violations of safety protocols could drastically increase a driver’s insurance premiums, especially if he caused an accident as a result. Increased risk for vehicular manslaughter charges. If the driver’s actions directly caused a fatal collision, in addition to personal injury, wrongful death, and property damage liability, he could also face a manslaughter or vehicular homicide charge. Have you recently been the victim of a distracted truck driver? If so, you need help to build and strengthen your case. Contact our office directly to schedule your FREE consultation. We’re waiting to help you better understand and pursue your injury claim. Take it from us, knowing the driver was violating his safety protocols is not the same thing as being able to prove it. Allow us to take that burden from you. Simply click the contact info on this page and see how we can help you get the justice you deserve. Motorcycles are a popular form of transportation in Tennessee. In fact, there are more than 160,000 registered motorcycles in the state, with more riders taking to the road every year. In addition to in-state bikes, thousands of out-of-state riders weave down our scenic roadways on their way across the country. Unfortunately, whether local or not, an increase of motorcycles on the road ultimately increases traffic risks. You don’t have to be an avid rider to know that motorcyclists are at an increased risk of injury over drivers of cars and trucks. In the event of a collision, a motorcyclist is ten times more likely to be severely injured than a motorist. 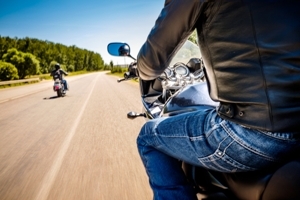 Furthermore, certain maneuvers that motorcyclists employ can increase the risk of a collision, which in turn, increases their own risk of injury. One of these risky maneuvers is known as lane splitting. This maneuver, also referred to as "lane sharing" or "filtering," occurs when a motorcyclist rides next to traffic, between the designated lanes. Therefore, rather than pulling up behind a car, lane splitting allows bikers to pull over next to the car and use the median between the lanes as their personal motorcycle lane. When performed intelligently and safely, lane splitting can help decrease traffic congestion and rear-end motorcycle collisions. However, when performed recklessly, this maneuver can cause confusion, road rage, and serious collision risks due to the proximity of the cars to the motorcycle, reduced maneuvering space, and the failure of drivers to expect a motorcyclist next to him. Although the practice is common in many countries around the world, the United States isn’t as open to the idea of lane sharing. In the U.S., California is the only state that permits lane splitting due to its large motorcycle population and overwhelming traffic back-ups. However, as more bikers take to the streets and traffic congestion increases across the nation, riders from all over the country are urging legislators to remove restrictions on lane splitting. Increased visibility. Motorists will be better equipped to see motorcyclists. Since the motorcyclists will move between vehicles, drivers will be able to see them more clearly in their side mirrors, than if they were swerving in-and-out of blind spots in the rear. Increased focus. Motorcyclists will be more alert. Since lane splitting will decrease a motorcyclist’s shifting and braking during stop-and-go traffic, he’ll be less likely to become fatigued. Decreased traffic and traffic-related injuries. Since motorcyclists will no longer be spending wasted time in traffic, backups will decrease and exposure injuries, such as heatstroke and exhaust exposure, will also decrease. Decreased rear-end collisions. Since visibility will improve, rear-end collisions that are caused by a failure to recognize a motorcycle’s presence would no longer be an issue. Unfortunately, before the bill could gain traction, and despite numerous pleas by local motorcyclists, the bill died before it made it to its first reading. For more information on Tennessee motorcycle laws, safety, and personal injury, feel free to browse our extensive collection of articles and legal resources. To get started, click this link to learn more about Tennessee motorcycle, moped, and scooter laws. 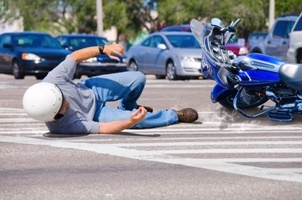 If you are a motorcyclist who was injured by a careless driver in Tennessee, the experienced motorcycle accident attorneys at GriffithLaw are here to help. We stand up for motorcycle riders against unfair insurance adjusters and biased juries by presenting the biker’s side of the story. You can trust us to fully investigate your accident and to protect your rights in a settlement or a jury trial. Call us today for a free review of your case at (615) 807-7900.